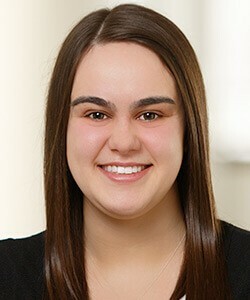 Katelynn joined Vrakas CPAs + Advisors in 2017 after graduating from the University of Wisconsin – Whitewater with her BBA in Accounting & Finance. As a tax associate she performs a wide variety of client services. Her responsibilities include performing corporate and individual tax preparation for closely-held businesses. Previous to joining the firm, she interned with Vrakas during the Spring of 2016.